We often hear news about criminal cases happening in our surroundings and this leads to the suspicion that the same might happen to our own home or the workplace. Unpleasant events, such as robberies and murders, happen all over the world and despite all the efforts put in by the authorities they are not under our control. So, in order to make sure that you have all the peace of mind in the world, you should consider safety among your top priorities. There are different safety measures that you need to take and among them, all is the need to install a good quality safety device in key locations at your place. A great idea would be to go for night vision cameras installed strategically covering all angles to maximize the security of your home or office. Incidents can happen anytime of the day unexpectedly, especially during the night, and these cameras would certainly be a great idea to add to your safety. The night vision cameras are designed to effectively capture motions and happenings even in the extremely dark environment which makes them a perfect item to be on your safety arsenal. With advanced technology that we have today, there is a wide variety of excellent night vision cameras available in the market. Depending on your preference, you should go for a device that gives you the design and specifications you need for having the desired level of security. If you are looking for the best options out there on the market, here we have listed some of the outstanding choices that will definitely help you secure your place. If you worry about safeguarding your home, this Smart HD Indoor Home Security Camera is an ultimate preference. 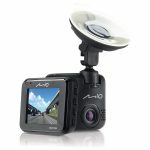 This device is designed with a 1/3 inch 2.0MP HD CMOS sensor and a built-in infrared IR, which combine to enable this device to capture clear and sharp images in 1080p HD resolution both during the night and day. You will be alerted of your property’s security status with its sensitive motion detection. Once invasion happens, the device automatically detects motion and sends alarm notifications. Video recordings are conveniently connected to an app on your phone, tablet, laptop or computer, making it easy for you to monitor what’s happening around you regardless of where you currently are. Remember, however, that this wireless camera supports 2.4GHz wifi only. The device can be utilized in many different ways with functions such as baby monitor, pet camera or nanny camera. Another exciting feature of this device is the two-way audio communications along with an inbuilt microphone and speaker. This allows you to have a live talk with your family and welcome visitors or even warn unwanted guests even when you are not home. Interacting with the family or potential invaders and monitoring the security of your home even without your physical presence is something that can help you ensure foolproof security at your place. The device likewise comes with a 3 years warranty and 90 days hassle-free money back guarantee. Want to scare thieves or unwanted visitors away? With the help of this Elotech Home IP Camera, you don’t have to fear thieves and intruders at all and instead, it’ll be a warning sign for them. This device equipped with an intelligent motion detection sensor that captures motion pictures and any actions being performed within its range. The device then sends notifications and alarms to alert you of anything suspicious taking place. Whether it’s the day or night, the device can capture clear 1080p full HD images using its 3.6mm lens and 2MP SMOC sensor. Even in completely dark premises with no light whatsoever, the camera can capture details to a maximum of 30 feet. This home IP camera from ELOTECH offers a wide angle view using the 360° pan and 110° tilt rotation that enables you to keep an eye on the whole room. Easily mounted on the ceiling, table or wall, the screen of this safety device can be adjusted at your desired viewing angle. So, it can provide you with all the security you need in and around your premises. Furthermore, if you are away from home and just want a way to reconnect with your loved ones, this home camera offers you a two-way audio feature designed with microphone and speaker where you can speak and listen to communicate with them anytime. Moreover, the device supports a maximum memory of 64GB on SD card. Furthermore, the internet camera holds wireless 2.4G Wifi which allows the video recordings to be viewed or played directly on your phone or computer. Overall, it offers great value for your money. Parts of the device have a few sharp edges to be careful of while installing which is not stated in the manual to warn the users. This wireless IP security camera from SH Sohong is another great addition to your security arsenal with all the great features that it has to offer. This device is equipped with a wide angle lens that offers a rotation of 355° horizontal and 110° vertical to capture a 360° view of your vicinity. It won’t miss anything at all and everything that is happening within a 10 meters area will be clearly captured by this night vision camera even in intense darkness. It uses the enhanced HD night vision with 10 IR lights feature to do that. The camera also allows you to stream clear video recordings at 1080P high definition resolution live on your tablet, phone or computer. This is also engineered with brilliant alerts and motion tracking system that makes sure even a minor movement in its premises doesn’t go unnoticed. Once the camera detects motion, it automatically captures and highlights the moving object to make sure you stay aware of what’s happening around. Using the app installed on your phone, you only have to tap the app alerts and playback the recordings detected anytime to keep yourself aware of what’s happening around. Security is provided to your home 24/7 because the device is designed with a micro SD slot that supports 64GB memory card and you don’t have to worry at all about running out of space. Likewise, the device also supports Cloud storage to ensure that recorded footages in your SD card are securely stored. The camera operates with 2.4Ghz Wifi and supports video and account encryption. So, you do not have fear at all that saved videos can be destroyed or compromised because they can be encrypted with a password of your choosing. One main account can be added on this device and this account has access to all of the settings. You can further share it with a maximum of 5 viewers. Moreover, this security camera also comes with flexible 2-way audio where smooth communication is made convenient. 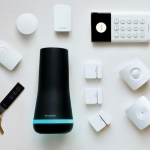 Overall, it’s quite a reliable security device and will make sure that you have all the peace of mind you need whether you are at home or away. Keeping an eye on the situations inside and around your home or workplace even without your physical presence is made possible with this Rubetek home security camera. Using its free app, you can easily monitor the things that are happening in and around your home or business right from your tablet or smartphone. In fact, you can use the device to keep an eye on your baby or pet as well. So, any unwanted motion whatsoever can be detected through your android/IOS devices. Moreover, a push notification will be sent to your phone as soon as the camera’s motion sensor is triggered producing an alarm signal and it starts recording right away. In case if you missed the notification or simply couldn’t check out the suspicious activity right away, you can still play back and view the video because the device is supported with 32GB micro SD and everything that’s being recorded is stored on it. This device capacitates a larger space for videos and footages before it reaches a maximum storage capacity. This modern-day camera also has the ability to capture recordings at an angle of 180° rotation and monitors at a distance of up to 30 feet even in extreme dark. This will ensure that everything is monitored actively and nothing is missed out at all. You can mount the device on any desired area and it can operate right there without the need of any batteries. Furthermore, it only takes a quick snap to set up the camera. Using the magnetic mount, this device can be installed on any metal surface. It’s all completely hassle-free. The Smonet wireless security camera is made durable and reliable to offer unparalleled security monitoring and provide you with safe premises 24/7. This device is designed to monitor your surroundings even in low light environment or complete darkness with its range going as high as 65 feet. It is enhanced with 16 pcs high-intensity IR-LED that is capable of grasping sharp details of the objects being recorded and captured even in the pitch black surroundings. The storage capacity is not a problem either with this wonderful SMONET gadget because this device supports 128GB of micro SD card and extends support for CLOUD storage as well only with a $5 subscription for 30 days. All the monitored events and recordings are securely stored using the device’s compression technology which is very impressive. You don’t have to delete recordings every now and then because you have enough storage available and rather you can playback anything that you had missed. This technologically advanced camera also supports ONVIF. Video recordings or pictures captured by 4.0 Mega-pixels camera can be viewed through your phone or computer with the help of a Wifi or Wifi hotspot. Furthermore, whatever the weather condition may be, this device is guaranteed to last because it is built with IP66 level waterproof steady aluminum for extra protection when installed outdoor. So, you can rest assured that you will be able to keep your home or office safe right throughout the year no matter what the conditions may be. If you are looking for a security camera that delivers multiple functions, this Luowice wireless IP camera is the ultimate solution. This handy gadget is built with an electronic cruise that allows for a perfect 180° viewing angle making the camera to pan automatically from right to left. What’s interesting is that you can also use your surveillance camera as an intercom using the two-way audio function where you can speak and listen from the other side. It is built with advanced microphone and speaker that allows a highly functional two-way audio. The camera is also compatibly connectible to a Wifi connection allowing you to live stream or playback recordings through your smartphone, tablet or computer. It also provides large storage space using a micro SD card so that you do not have to worry at all that any of your recordings will be lost. Designed with Infrared LEDs, this little gadget from Luowice supports black and white images. For outdoor installation, the camera is built with IP66 waterproof standard. One feature which makes this security camera very unique is the Email Alert. Once the device detects motion, it automatically pushes snapshots to your email and to your App alert so that you will be alarmed of what is happening around your premises. If there is any trouble, the customer service is highly reliable and will respond you within 12 hours. In addition tech support will also be available via Skype as well. For guaranteed results, the product is covered by a 1 year warranty too. Safeguard your property with a security camera that will ensure extra clear image and can maximize the viewing coverage to offer ultimate protection. The Foscam R2C camera uses outstanding technology to operate as part of a powerful security system day and night. The device is capable of creating a full high definition 1080p resolution at 25 fps. This night vision camera has an advanced algorithm that detects any kind of movement in its range and sends notification alert through an email to your chosen address, smartphone or FTP. It comes with an 8-hour free recording feature when motion is triggered. These recordings go on the Foscam Cloud and an affordable subscription is available if you want storage for longer videos. To fully maximize the viewing area, this camera can be rotated at an angle of 100° vertical and 350° horizontal. This wonderful latest technology marvel also comes with an auto-cruise mode which allows the camera to cruise through 8 selected areas. It can also horizontally survey the vicinity and eventually return to any position with a single tap on the device’s button. It is powered by 13 infrared LEDs that allow it to catch clear black and white images to a maximum range of 26.2 feet. It is impossible to lose footage or recordings because this camera supports Cloud service, micro SD card, NAS, FTP or NVR. Through day and night, it is ensured that you will never miss any recordings with Foscam’s intelligent system. For security monitoring of a wider area, this Tonton PTZ camera is certainly a perfect choice. Before you choose this one, however, it’s important to keep in mind that it is only an add-on camera to your existing Tonton systems that is meant to ensure maximum security. The camera is designed with a flexible pan and tilt option making it possible to cover almost every area in your house or office and even the surroundings. It really is a reliable piece from Tonton that offers 65° view angle with 6mm lens while allowing you to pan it to 180° and tilt it to 55° for maximum coverage. The device is ideal for both day and night vision providing a coverage range of up to 65 feet. Using the camera’s automatic IR-cut filter, 1080P full HD images are captured even in the most intense weather conditions. The IP 65 metal case with weather resistance makes it ideal for this device to be installed outdoors and it can withstand literally any weather condition. 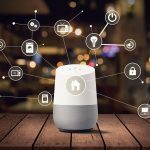 The device is also equipped with a customized motion detection feature that sends alarm notifications with an image to your smartphone through the App. The motion detection feature of this night vision camera is quite powerful as it can sense even the minor unexpected movements. And, as soon as it does, an alarm notification is created automatically so that you can take necessary steps for damage control. The camera system comes equipped with a 128GB SD card which makes it easy to store larger video recordings without having to worry about space at all. So, whatever the events you may encounter, you can rest assured that you won’t just be alerted in time but enough video evidence will also be available if needed. How amazing it is to own a hidden camera that is as small as a coin but can also function like other security cameras out there. Yes, that’s something great! This night vision hidden spy camera from EHOMFUL can efficiently function as a surveillance camera that even allows you to see the live video streaming via Wifi. The camera also comes equipped with motion detection feature, an auto night vision convert with monochrome image and offline recording. You can always stick this security camera to any metal surface using the powerful back magnet. With this feature, this wireless hidden device can be attached even to your skateboard, car or bike while you are on the road. You can even mount in on a fridge door or under the desk and anywhere you desire for hidden surveillance. It comes with an auto night vision which allows you to have a clear image of what is outside your place or inside. No matter if it is pitch dark in its range, the camera will provide you with a clear image. When the device detects poor light, the IR sensor automatically turns on to ensure that the quality of image is not affected at all. You can even use this spy camera to monitor your garden and your pet’s activities. It can even be your silent partner while playing family games over the weekend. It is powered by a dual network connection which means that it operates in two ways – through its built-in Wifi or when connected to a home Wifi router. There is also a sensitive motion detection feature that detects movement and pushes the alarm notification to your phone taking an automatic image. Maximize your home protection day and night with this high-end Tendomi Home security camera. It is built with IR-cut sensors that extend clear images or recordings to 50 feet in completely dark settings. It has the ability to take full and larger coverage given its wide viewing angle and can be rotated at 355° horizontal and 110° vertical angle. The security camera from TENDOMI can also support remote access from up to 6 devices at the same time. The cruise and motion detection functions of this camera allow for a real-time alert as soon as any motion is detected. The camera will capture recordings and send notifications directly to your mobile phone from the beginning until the end of the movement. Alongside an alarm feed, a snapshot is also sent for optimal security monitoring and keeping you alert of everything that is happening in your premises. This home security camera can also serve as an effective baby monitor because it can provide you with a clear speaker so you may know when the baby is crying. It also comes with a 2-way audio feature with advanced and responsive microphone to make for a perfect experience. The built-in noise filter is an additional exciting feature to offer you with great experience talking and hearing sounds from the other side and ensuring optimal safety. To prevent the risk of losing stored footages, this camera supports Cloud service as well. Any information between a user and the site/servers is also made secure using the financial encryption and it could barely be forged or hacked by the third party. Now that you know enough about the best night vision security cameras on market, here we have a few frequently asked questions answered. See if you have any of these concerns as well. 1. 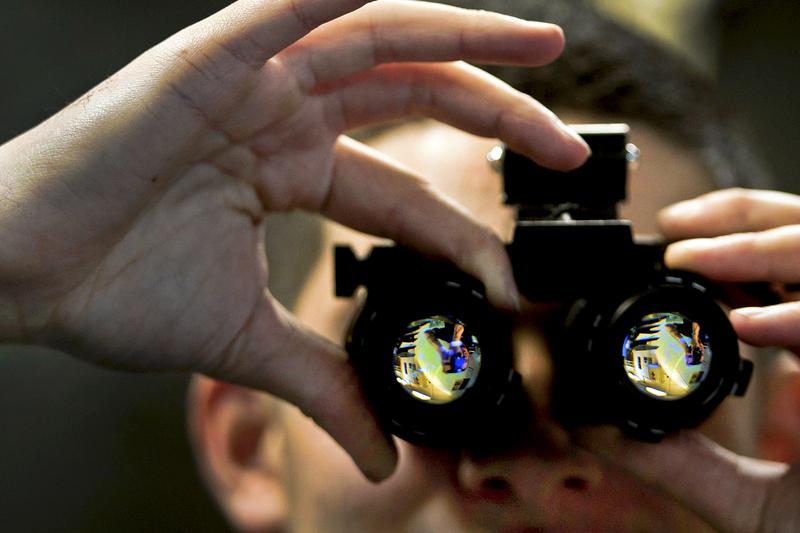 What are 3 gens of night vision tech? A night vision device can be classified into 1st, 2nd or 3rd generation. This stands for the type of intensifier tube used for intensifying images. This tube is actually considered the heart and soul of NVDs. 2. What is IR night vision camera? Infrared cameras, alternately known as the IR night vision cameras, are designed to capture recordings even in low or no light settings. Even in total darkness, this device is still able to capture clear images. These cameras combine CCD cameras and infrared illumination with 700 – 1000nm spectral range. They have Day And Night tech which allows these cameras to convert to black and white mode when there is not enough light. The result appears in the form of a monochrome image and can be viewed on regular display devices. 3. Why do night vision cameras use infrared? In extreme dark conditions, things cannot be seen by the naked eye that is why night vision cameras use infrared. Even though the infrared light is not visible to us, it’s actually around and illuminates objects in the darker surroundings. With the use of infrared light, you are able to see anything that is happening in the dark. 4. Do all night vision cameras have red lights? The red lights found around the surveillance cameras are known as infrared LEDs or IR LEDs. These lights are very important for night vision cameras because they provide lighting to enable a camera to capture video or image in darkness or in a low light setting. For that reason, all night vision cameras are equipped with this red light. 5. Does night vision work in pitch black? Night vision cameras use an enhancement technology which enables them to collect every bit of available light, such as infrared light, in the surroundings and amplify that light. This allows the camera to see even in the darkest environment or pitch black. 6. Can we use a night vision scope during the day? Night vision cameras utilize infrared light or available lighting to make it work during the night. If exposed to bright light, this device can be damaged. So, you can’t use night vision scope during the day. 7. Is it legal to own Gen 3 night vision? And do I need any kind of permit? It is absolutely legal to own a Gen 3 night vision device and there is no permit to secure when owning one. However, in the US, it is a federal crime to ship the device outside its territory. 8. How durable is night vision equipment? What if I drop it? Depending on the brand, most night vision cameras are designed for durability. Others are quite delicate which cannot withstand the impact of dropping. So, it is a good idea to check the seller’s warranty and see if the purchased device is covered by their warranty or not. Make sure that you take good care of your NVD and treat this device as something expensive and important. Night vision cameras nowadays play a vital role in maximizing the security of your properties as well as your loved ones. In fact, they can’t just be used to secure your homes but can also be a perfect choice for workplaces as well. However, when deciding to install one, you must take a detailed look at the specifications and the type of device so that you may choose only the best out there. With a lot of options available in the market, it is easy for you to get confused about what model perfectly fits your requirements. So, before you go out and do your shopping, it is advised that you must first spend a little time to thoroughly understand what makes the best night vision cameras and find out what would be the best option for your specific requirements. You might want to pick one of the products listed above as they are the best on market. So, take your time and choose the best night vision camera for a great experience and optimal security.